Having Spoken to Paul on twitter, I asked him to write something about their cause and what they are doing. I hope you will read their story and support them. If you have children could you ever imagine life with out them now? 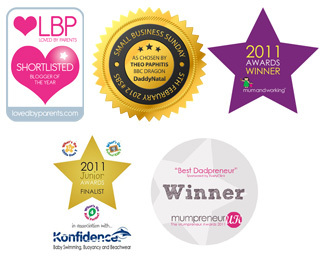 I would like to introduce you all to Emma, Emma blogs at The Real Super Mum . I don’t often have guest blogs, in fact this is just the second I have done, but when Emma offered to write guest pieces on twitter I decided to talk to her about it. I am extremely glad I did, as she agreed to write about her experiences with Post Natal Depression (PND) and the effects it had on her family and husband. 1. We expect children to be able to do things before they are ready. We ask an infant to keep quiet. We ask a 2-year-old to sit still. We ask a 4-year-old to clean his room. In all of these situations, we are being unrealistic. We are setting ourselves up for disappointment and setting up the child for repeated failures to please us. Yet many parents ask their young children to do things that even an older child would find difficult. In short, we ask children to stop acting their age. 2. We become angry when a child fails to meet our needs. A child can only do what he can do. If a child cannot do something we ask, it is unfair and unrealistic to expect or demand more, and anger only makes things worse. A 2-year-old can only act like a 2-year-old, a 5-year-old cannot act like a 10-year-old, and a 10-year-old cannot act like an adult. To expect more is unrealistic and unhelpful. There are limits to what a child can manage, and if we don’t accept those limits, it can only result in frustration on both sides. 3. We mistrust the child’s motives. If a child cannot meet our needs, we assume that he is being defiant, instead of looking closely at the situation from the child’s point of view, so we can determine the truth of the matter. In reality, a “defiant” child may be ill, tired, hungry, in pain, responding to an emotional or physical hurt, or struggling with a hidden cause such as food allergy. Yet we seem to overlook these possibilities in favor of thinking the worst about the child’s “personality”. 4. We don’t allow children to be children. We somehow forget what it was like to be a child ourselves, and expect the child to act like an adult instead of acting his age. A healthy child will be rambunctious, noisy, emotionally expressive, and will have a short attention span. All of these “problems” are not problems at all, but are in fact normal qualities of a normal child. Rather, it is our society and our society’s expectations of perfect behavior that are abnormal. 5. We get it backwards. We expect, and demand, that the child meet our needs – for quiet, for uninterrupted sleep, for obedience to our wishes, and so on. Instead of accepting our parental role to meet the child’s needs, we expect the child to care for ours. We can become so focused on our own unmet needs and frustrations that we forget this is a child, who has needs of his own. 6. We blame and criticize when a child makes a mistake. Yet children have had very little experience in life, and they will inevitably make mistakes. Mistakes are a natural part of learning at any age. Instead of understanding and helping the child, we blame him, as though he should be able to learn everything perfectly the first time. To err is human; to err in childhood is human and unavoidable. Yet we react to each mistake, infraction of a rule, or misbehavior with surprise and disappointment. It makes no sense to understand that a child will make mistakes, and then to react as though we think the child should behave perfectly at all times. 7. We forget how deeply blame and criticism can hurt a child. Many parents are coming to understand that physically hurting a child is wrong and harmful, yet many of us forget how painful angry words, insults, and blame can be to a child who can only believe that he is at fault. 8. We forget how healing loving actions can be. We fall into vicious cycles of blame and misbehavior, instead of stopping to give the child love, reassurance, self-esteem, and security with hugs and kind words. 9. We forget that our behavior provides the most potent lessons to the child. It is truly “not what we say but what we do” that the child takes to heart. A parent who hits a child for hitting, telling him that hitting is wrong, is in fact teaching that hitting is right, at least for those in power. It is the parent who responds to problems with peaceful solutions who is teaching his child how to be a peaceful adult. So-called problems present our best opportunity for teaching values, because children learn best when they are learning about real things in real life. 10. We see only the outward behavior, not the love and good intentions inside the child. When a child’s behavior disappoints us, we should, more than anything else we do, “assume the best”. We should always assume that the child means well and is behaving as well as possible considering all the circumstances (whether obvious or unknown to us), together with his level of experience in life. If we always assume the best about our child, the child will be free to do his best. If we give only love, love is all we will receive.